Unfortunately no. Although we are able to offer chat from the website to the HouseCall Customer Success team, we are unable to offer chat from the website to your Employees and or Customers. To contact your Employee or your customer who has the HouseCall Customer app, you can do so from the App. 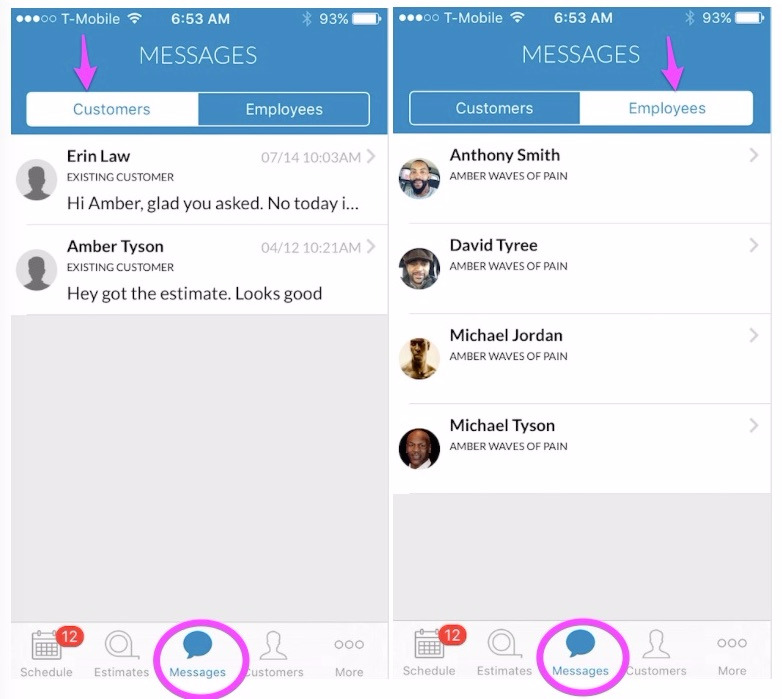 Select "Messages" - Select who you are contacting and send message.